Let’s talk wow factor. Because wow factor is exactly what CrossIron Mills is designed to deliver. From the moment you approach the centre, on Highway 2 just north of Calgary, it’s clear this is not your average shopping destination. 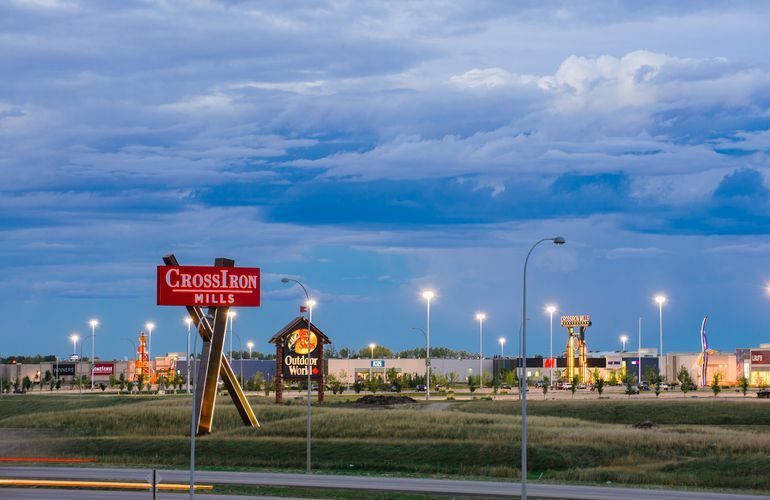 At 1.4 million square feet, and 674 acres, CrossIron Mills is huge. In fact, it’s the biggest one-level shopping centre in Alberta. And whether you walk in through the larger than life Bass Pro entrance, or past any of the centre’s iconic, Alberta-themed entrance features, the approach is impressive. Every visit to CrossIron Mills feels like showtime. With more than 200 specialty stores and premium brand outlets, and 17 large-format anchor stores, CrossIron Mills offers incredible depth, and something for every shopper. 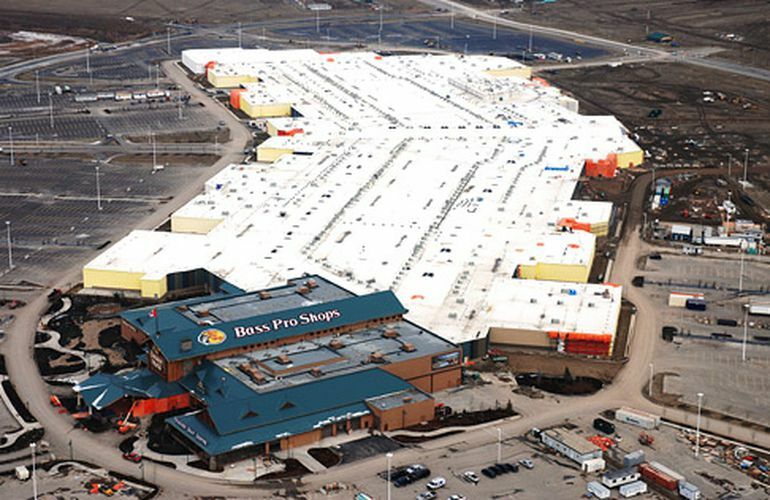 The centre is home many Alberta firsts, including Bass Pro Shops, Calvin Klein Outlet, Bed, Bath & Beyond, Pro Hockey Life, True Religion Brand Jeans Outlet, Hugo Boss Outlet, Coach Factory and Coach Men’s. The centre also has many “biggest-in-Alberta” retailers including the largest Toys ‘R’ Us, Babies ‘R’ Us, The Children’s Place, Tommy Hilfiger Outlet, Laura Superstore and Forever 21. And it’s not just retail bliss. CrossIron Mills is true a hometown hero, celebrating the beauty and diversity of Alberta through arresting design features, architecture, and 6 themed neighbourhoods throughout the centre. These Alberta-centric features are tastefully inspired by the geographic regions, landmarks, and cultural icons of our home province. The neighbourhoods are all connected by unique transition courts, and culminate around a themed 1200-seat food court. CrossIron Mills was built to impress, with every visit. Wow factor, indeed. About: Mobile Snap is your one stop shop for all of your cellphone needs. They sell a variety of cellphone related accessories such as batteries, cases, chargers, shields, screen and full body protectors USB cables, GSM unlocked cell phones and IPods, in addition to the foregoing cell phone repairs and cell phone unlocking. 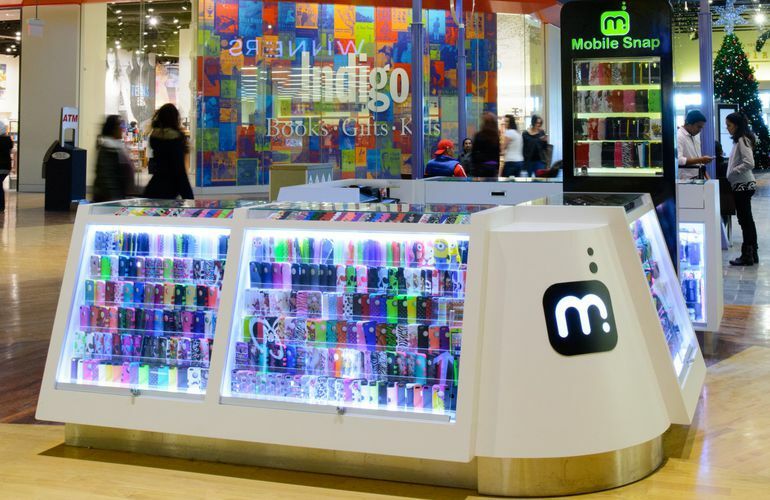 Locations: Visit one of their 2 locations at CrossIron Mills- Their cart in front of Osh Kosh in the Sports Neighbourhood, and their Kiosk location in front of Winners in the Resource Neighbourhood. CROSSIRON MILLS HAS ALBERTA COVERED. FOR LESS. CrossIron Mills has everything you need for a good life. A fabulous life. A uniquely Alberta life. Whether you’re in the market for gear for your next outdoor odyssey, toys for the kids, or a stunning fashion upgrade (for A LOT less), CrossIron Mills definitely has you covered – and more. This exceptional shopping centre features a collection of 17 large-format anchor stores, more than 20 new stores to Alberta, and over 200 premium brands & great outlets. Now that’s a shopping experience. The design of CrossIron Mills is a big part of the story. CrossIron Mills celebrates the beauty and diversity of Alberta through neighbourhoods that have a character all their own, and which subtly, artfully speak to the Alberta experience – yesterday, today, and tomorrow. CrossIron Mills celebrates the beauty and diversity of Alberta. Geographic regions, memorable landmarks and cultural icons of Alberta inspire the unique design. The creative mix of colour, pattern, form, scale, texture and materials exhibit the essence of the Alberta experience. Fashion Neighbourhood – The latest fashion trends at their finest. Resources Neighbourhood – Celebrating Alberta’s resources: oil, wind, agriculture, natural gas and more. Fossil Neighbourhood – Recognizing the history of the badlands of Alberta. Sports Neighbourhood – Commemorating Alberta’s athletic accomplishments. Ranch Neighbourhood – A salute to Alberta’s rich western history. Entertainment Neighbourhood - A nod to Alberta's industrial growth. Fine Arts Court – A nod to Alberta’s trendy art scene. Campfire Court – Back to the basics of nature. Rodeo Court – Hard fought rodeo battles are paid homage. Wind Court – Chinook winds blow as we celebrate Alberta folklore. Wildlife Court – Nature, wildlife and your favourite fishing hole. Food Hall – Bigger and better, opened July 2016. CrossIron Mills is the first enclosed shopping centre to be built in Western Canada in 20 years. It is one of the largest shopping centres in Southern Alberta. Several CrossIron Mills' retailers are in Alberta for the first time: Bass Pro Shops Outdoor World, Gap Generation and more! Many of CrossIron Mills' stores are the largest in Alberta: Toys 'R' Us / Babies 'R' Us, La Senza, The Children Place, Tommy Hilfiger Outlet, Laura Outlet, XXI Forever and more! 1.4 million square feet of gross building area. 1.1 million square feet of gross leasable area. Over 200 premium brands and great outlets. The gravel required to complete the roads and the parking lots required a dump truck every three minutes for 10 hours per day for 100 straight days. If you laid out the drywall required to construct to the mall and related tenant work flat on the ground it would cover over 36 acres. The drywall required over 55,000 five-gallon pails of drywall mud. There are over 478 Km of electrical wire in the mall, not including data lines. There are over 1.2 million screws in the roof assembly. There are over 75,000 five-gallon pails of stucco and base coat on the exterior of the mall. The shopping centre has 18 KM of walls.